For League magazine founders, Samantha Chrysanthou and Darwin Wiggett, winning the 2018 Alberta Magazine Award for Best New Magazine validated their hard work. “We call it a magazine but it’s really more like a luxury book,” says Chrysanthou. 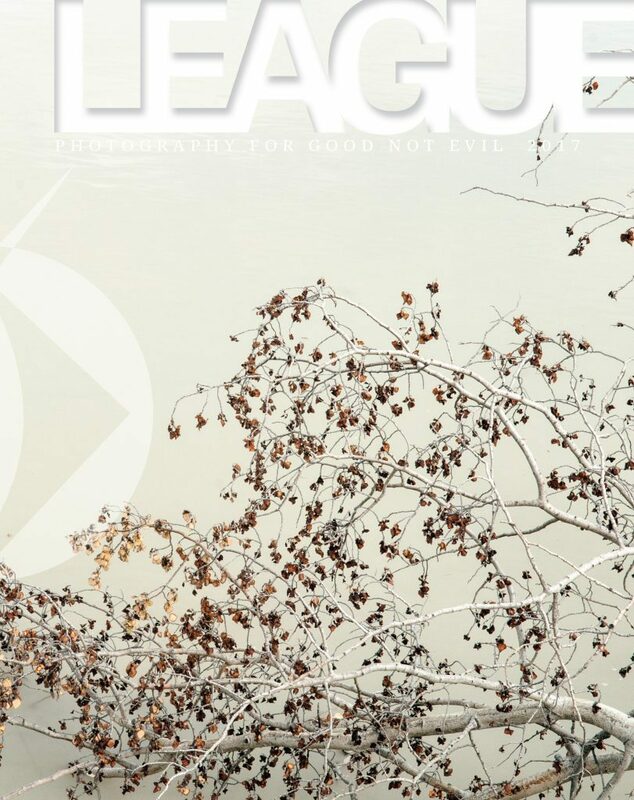 Although League is a magazine of landscape photography, it veers away from a traditional approach that focuses on how a photograph is created, and instead zeroes in on understanding the relationship between the photographer and the image. Chrysanthou hopes the answers will motivate readers to discover a deeper appreciation of photography, as well as the talent it takes to create an exceptional photograph. With technological advances, Chrysanthou says, the art form of photography can sometimes be lost. The magazine is the offspring of the League of Landscape Photographers—a grassroots group of photographers who identify their values and principles as a part of their work process. The group requires its members to post a statement of values or code of ethics on their websites or social media platforms as a formal commitment to work with consideration for the environment, animals and people. Gallery spread from League magazine’s inaugural issue. As a result, the images in League are personal and subjective, with photographers encouraged to turn their lenses on their own environment, capture what they see and experience, while maintaining respect for the environment in which they shoot. “It’s beyond beauty. It’s really about the personal stories of what the photographers are seeing,” says Chrysanthou. Chrysanthou and Wiggett bring substantial combined knowledge to League. Wiggett, as a photographer with more than 30 years’ experience, former editor of Photo Life magazine and columnist at Outdoor Photography Canada, and Chrysanthou as an established photographer with a decade behind the shutter. She says her experience as a Calgary lawyer provided her with the entrepreneurial skills and the confidence to trust in her ability to be creative. Wiggett and Chrysanthou will be displaying their collaborative and creative work at an exhibit called Pressed, Pinned, Skinned at cSPACE King Edward, Suite 130 1721 29th Ave. S.W. Calgary beginning April 7. For more information email info@oopoomoo.com.